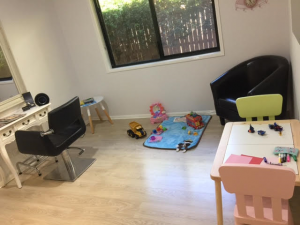 Beauty Parlour is not just a hair salon for ladies, we also provide a very special hairdressing service for babies, toddlers and children. From newborn to 12 years old we cut, style and look after your child’s hair. Beauty Parlour hair salon is designed to be child friendly and fun. With an i Pad to educate, and lots of toys to play with. At Beauty Parlour we see your child’s first haircut as special as you do, so we keep the first lock of hair for you to include in your babies keepsake. All bookings are by appointment only so you don’t miss out.